What’s this place called Asheville you keep hearing all about? 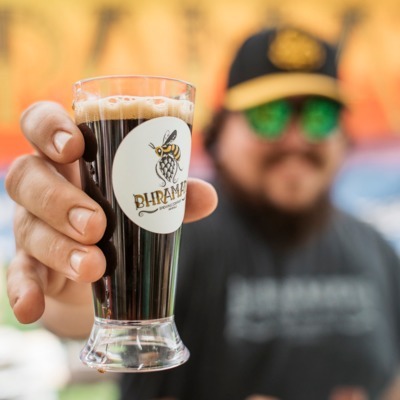 We are taking you beyond Beer City USA to explore the hiking, restaurants, arts and more ... ok and beer too, that make Western North Carolina one of the most sought after places to visit in the country! We will have special guests like local entrepreneurs, business owners, chefs, brewers, and artists sharing their stories about this beautiful area! Check us out for tips and even some cool stuff about van life! What do you think the average cost for a wedding is? You’ll have to listen to find out, but let’s just say it is more than $20,000. Do you need to spend big bucks to have an epic event? 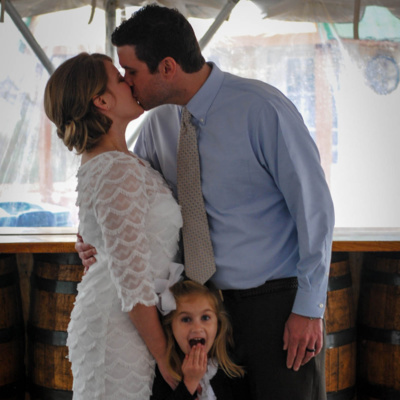 Not in this lifetime, just ask John Paul and his crew at Elope Asheville. They have been creating spectacular, unique wedding elopements in and around Asheville for the past 9 years. You can do something as simple as have them pick a killer spot and they’ll officiate to having them act as florist, photographer and more. 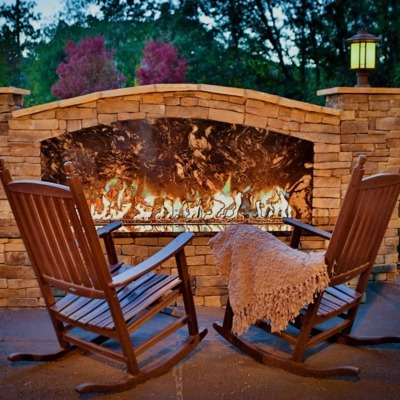 Whether you are looking for an intimate waterfall backdrop or a celebration at a local brewery, they have done it all. Want to get more extreme? How about tying the knot on SUP’s or with a theme, like Oh, Brother Where Out Though. John Paul has a great back story as to how he ended in Asheville, how many elopements’ he does in a year here and where his #1 pick for a rooftop cocktail is. Take a listen and let us know what you think! Where has the market grown since 2008? We sit down with Chip and Amelia of Greybeard Realty to learn about the residential real estate market and talk about a niche they have with long term rental business. The mention so fun stats like - mire than 50% of the people working in Buncombe Co live outside of Buncombe Co. The real estate market is still hot here in Asheville, and although slightly flat from last year it is still up overall. What is really interesting is that there are buyers looking here to buy all year round for 1st home buyers, and more than 50% are coming from outside the area. GreyBeard Realty, formed in 1999, began as a rental management company but quickly shifted to include sales. Today sales make up 75% of the company's business. Why is it called GreyBeard Realty? Although we are a real estate company we wanted to anchor our name to our beautiful surroundings. 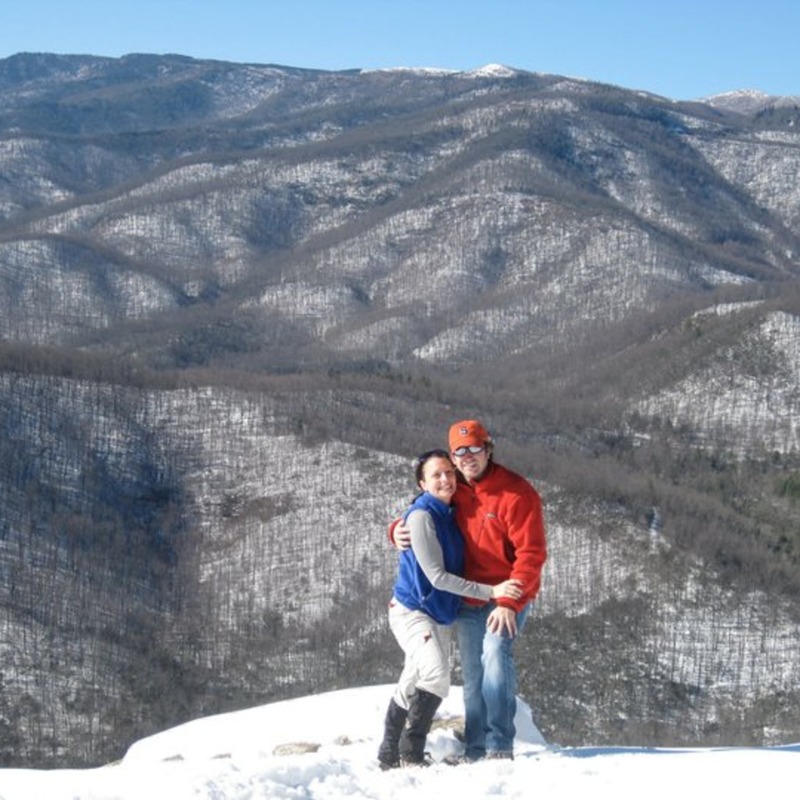 Greybeard Mountain is the largest of the Seven Sisters (Middle Mountains), which is the closest range to Black Mountain and Montreat. Greybeard Mountain got its name from the old timers who thought the ice-covered trees on its ridges looked like an elderly man's flowing grey beard. We sit down and talk with the Marketing + Communications manager of 15,000 square foot Blue Spiral 1 art gallery, Ali Whitman an Asheville native. 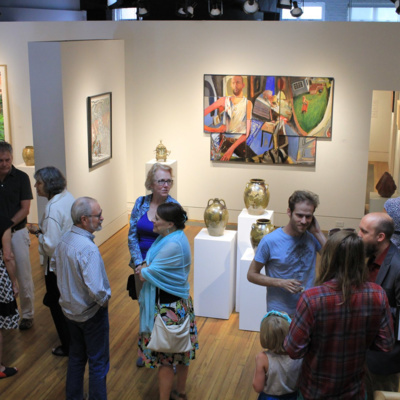 Ali shares her knowledge and experience of all types of art, from Penland School folk art to Modern art and she even gives some insight in to what is making a comeback in the art world. Blue Spiral 1 has been around since 1991, which is the 2nd oldest gallery in Asheville, started by the innovative John Cram who used his foresight to put the art on the forefront of and helped to drive the economy and energy of Asheville. Ali talks about her own business Art Organized working with private collectors assisting with installations, cataloging and more. Meet the artist Kirstin Stingle October 20th at Blue Spiral 1 and you can catch Ali at the gallery or at the Cantina for Margarita Mondays! Have we got a treat for ya'll! 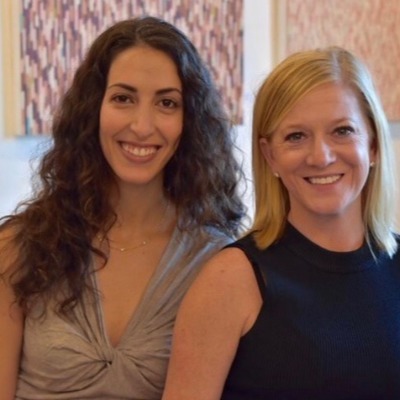 We are talking all things fashion with Asheville natives Dema Badr of Scout Boutique and Allison Jerele of J Smith Boutique. These ladies have a passion for fashion, which, combined with a fun, no nonsense attitude make this episode one we know you will love. Even if you love their boutiques you may not know about there newest collaboration the Style Edit! Looking for a closet clean out or a bit of a wardrobe make over, these ladies have got you covered! They have traveled the globe and are bringing their talents in to your closets! Curious about what is new for Fall fashion, how these ladies got their start, what they did before being women entrepreneurs and lady bosses? You will have to take a listen. We sit down with head brewer, owner, creative genius, Gary Sernack of Bhramari Brewhouse in Asheville. Gary shares how his world travels, Caribean culinary experience and love for collaboration have made this craft brewery one of our long time favorites in the South Slope and beyond. We couldn't agree more with USA Today's review "Each menu item at Bhramari has a beer element that's designed to perfectly complement each pour. Bonus: The burger is incredible." What started as a quick conversation between Lisa and Joe long before they came to Asheville, Sweet Bear Rescue is an amazing place for animals of all kinds to heel and feel love. The farm is a beacon of hope for animals of all species -- a place where kindness and compassion are the norm, and all individuals are treated with love and respect. Sweet Bear is dedicated to changing the world, spreading the values of veganism, and creating a safe haven for those who've experienced abuse and neglect. We talk about the true lifestyle Joe and Lisa have created, the killer beer they make and what their goals are for the future. Lisa and Joe will be holding a volunteer day Saturday September 8th to help build a run for the new birds they will be rescuing from Kaporos. If you can please consider donating, no amount is too small. For those of you that don't know, each year 60,000 chickens are slaughtered on the sidewalks of NYC as part of a religious ritual known as Kaporos. Chatting it up with Franny from Franny’s Farm who gives us a lesson on Hemp farming, the difference between growing for CBD vs. Fiber and how NC has the only farmer funded, industrial hemp pilot program in the country. Franny and her fellow farmers have been leading the way to grow this crop. You are going to love her personality and you can hear her enthusiasm in her leap then look approach to life and farming. This year is her first year with a large crop and will be launching a new product line. Talks on regulations, state vs. federal and DEA vs. the business of agriculture. 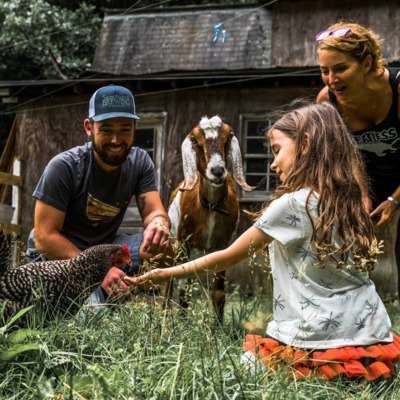 Franny’s farm also hosts a farm camp for kids, goat yoga and agritourism, she shares her passion for keeping people connected to the land. Save the date for Asheville Barnaroo September 28-30 to benefit Asheville Music School! Avid mountain biker looking to explore WNC Mountains or just curious about what this biking thing is all about? Red Wolf Tours founder Barrett Hoover shares his favorite gear, what makes these trails great, safety and more. Red Wolf provides private mountain bike experiences designed by skill level. Joined by Collin O'Berry of Pilot Cove, which is over 140 acres, much of which borders the forest, has unique, well appointed cabins. These two have immense knowledge in the technical rides, the connectors and making the most of your time here in town. Immerse yourself in nature while enjoying modern design and luxurious furnishings. 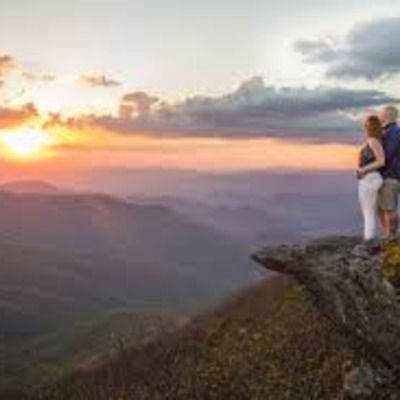 With Pisgah National Forest at your doorstep, enjoy direct access to hiking, biking and outdoor recreation activities, all within minutes from downtown Brevard – a quaint mountain town named one of the best small towns in America! 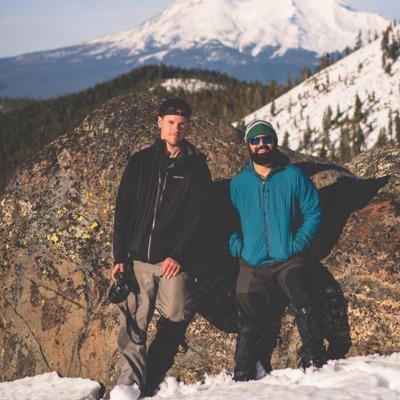 You've got to take a listen to Steven and Steve from Applachian Adventure Company, hear the serendipitous way they met and some of their favorite hikes. These two have such a fun story have have been living a life of adventure and giving back, particularly with a charity near and dear to their hearts, Big City Mountaineers - #Summitforsomeone These 2 pros take their 7 years experience, trial and error hiking in the back country and teach you how to pack well, cook you a superior meal and even some photography lessons, all while on a mountain top. We get to talk balance, nature and yoga with Miranda, former art director of Whole Foods turned Entrepreneur in Asheville. Miranda shares how a sabbatical to India changed her course and how Yoga and being outside can improve our overall health and well being, oh and her favorite tea shop. Namaste in Nature is a unique respite from the stress, anxiety and overwhelm of our modern, concrete, electronic life. We facilitate outdoor yoga + hiking + meditation experiences, camps & retreats that encourage adults to reconnect with themselves and with nature, resulting in renewed health, self-awareness & happiness. Our mission is to encourage sustainable self-care, mindfulness and to spark or strengthen one’s connection to nature. Namaste in Natures mission: sustainable self-care, mindfulness & respite for mind, body & soul. Talking tourism with the incredible perspective it all brings to our beautiful city with General Manager of Biltmore Farms Hotels, Robert Foster. Greg has lots of questions about if the city can sustain the growth, the balance of locals to visitors and more. 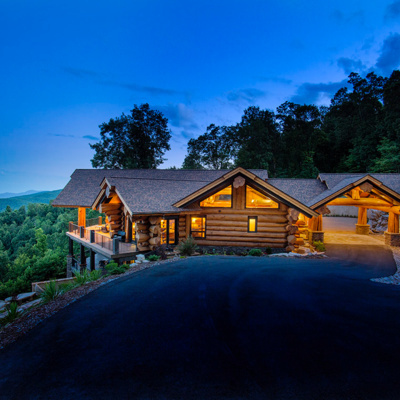 Robert shares a wealth of knowledge, both from his personal and professional experience, including the fact that there has been a 26% increase in hotel rooms and what he feels that means for guests coming in to Visit Asheville. He shares some of what is going on in terms of tourism growth, expansion in to new areas including the creation of 26k jobs and overall impact in Buncombe County and beyond. This episode is jam packed with fun facts too, like the Doubletree Hotel was the old Biltmore Farms Dairy, the amazing beer from Hillman Beer & Catawba and his fav restaurant which offers a Caliente Margarita and a Blood Orange Margarita (any guesses), What's up and coming, according to Robert, you'll have to listen till the end! There is always something happening in and around Asheville. Whether it is a new business start up, politics, happenings and more, and our next guest has been writing about this and more since 2008! In this episode we talk with Jason Sanford of Ashvegas who shares how he got his start, where the idea for Ashvegas came from and how he transitioned to full time. Stay till the end, Jason shares where he and his fur friend, Sammie, like to get outside. 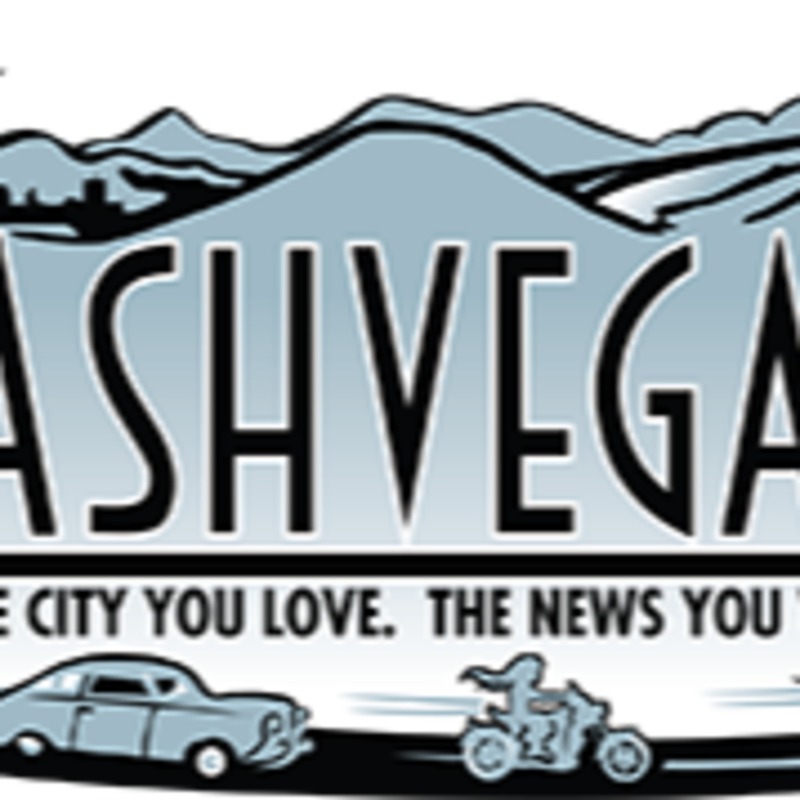 The city you love, the news you want! This episode is a riot, with fun facts, biz tips, maybe even a life lesson and more! 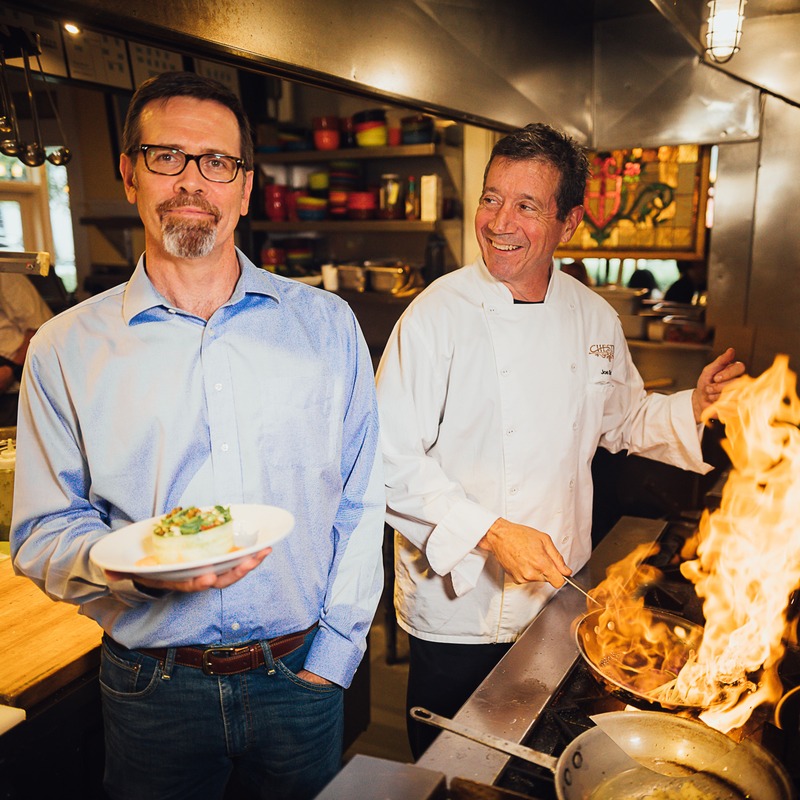 There are over 800 restaurants in Buncombe County and at least 300 are independently owned, we get owner Kevin Westmoreland's take on how to stand out and keep things fresh for both locals and visitors. Kevin is co-owner of Corner Kitchen and Chestnut restaurants in Asheville with chef Joe Scully; he shares the strange way he ended up in the restaurant biz, the importance of buying from local farmers, keeping things fresh and the overall food scene in our great city. Kevin shares HIS go to restaurants in town and a wine night we definitely need to check out, so be sure to listen to the end! Today the microphone is turned and Greg is interviewed by one of our friends, Ryan Krishnan. 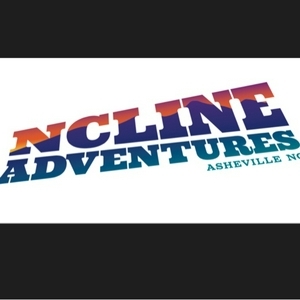 Take a listed as you get some of the inside scoop on how NCLINE Adventures got up and running, where the idea came from and what you can expect from this Asheville Experience company. 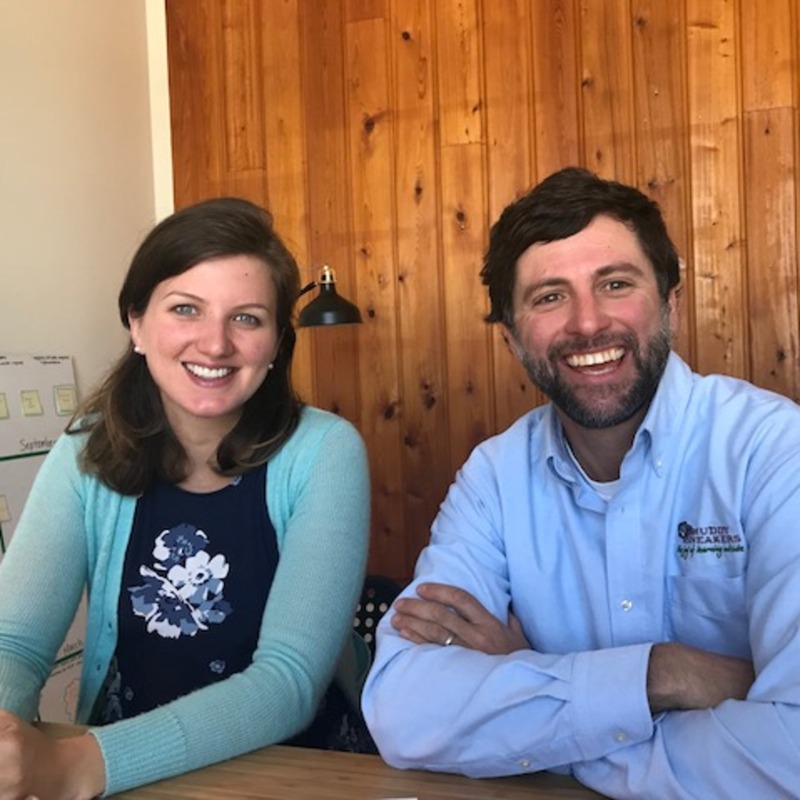 We chat with Ryan and Perry of Muddy Sneakers, based out of Brevard, NC, which is an environmental education program that works with 5th grade public school students across Western North Carolina and the Piedmont. They talk about how the children of today are the conservationists of tomorrow and how learning and engaging outside is vital to our kids and our future land! This innovative program educates on the core concepts of the state science curriculum using hands-on, experiential teaching methods spread over multiple, outdoor classroom experiences. Perry and Ryan share some secret gems of where to hike at the end so be sure and listen close. Proceeds from our Launch Party at Twin Leaf Brewery will go to this incredible organization. Currently, Muddy Sneakers partners with approximately 2,700 students at 36 different schools in the Carolinas. In this episode we sit down with Jenny and Joe of JCM Photography chatting about the Asheville wedding scene. They provide some tips on what to ask and what to look for in a wedding photographer and knowing your style. They even let you all in on a little known secret hike that's pretty easy and with incredible views! Give a listen and enjoy! Have you ever wanted to listen to some of the most incredibly talented musicians in your living room? Mark and Julia of Asheville Guitar Bar have filled a void, we didn't even realize we had, in the music scene here in Asheville. Find out what brought this incredible couple to open up this listening room, who they've been inspired by and who plays in their Cotton Mill Studios space. Maybe you've heard of the Three Davids or Jody Caroll? Yup, they stop in. 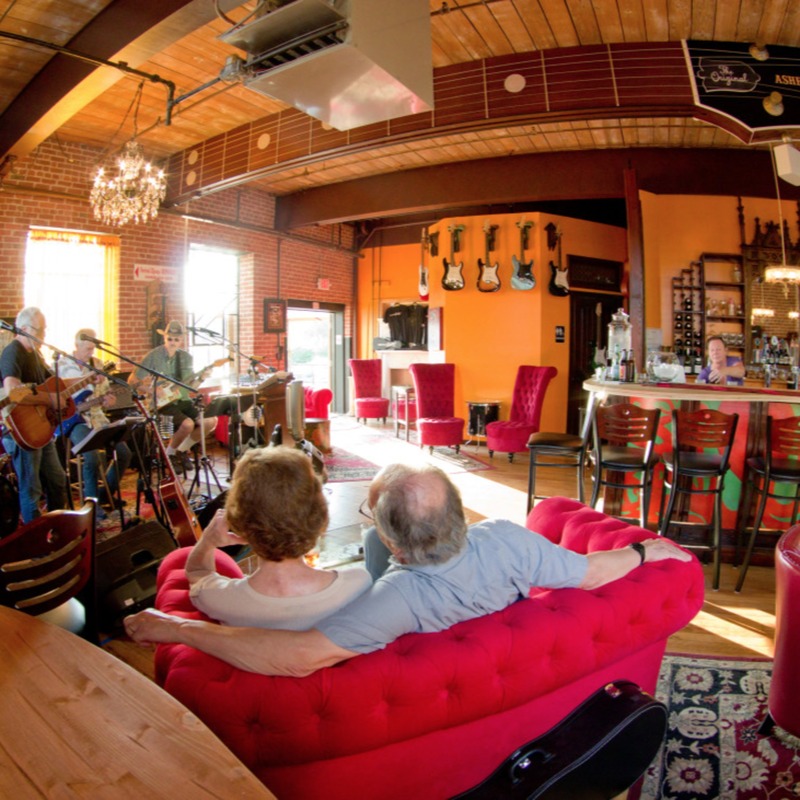 There is something for everyone at the AGB, from classical to jazz, cookouts and brunch, whether you want to dance or sit and relax, you will have one of the best times, at the Asheville Guitar Bar. You are going to have to take a listen if you want to find out which famous musician actually lived in Mark's house as a kid. Patrick from Hunter Banks is up this week, sharing some of his favorite places in Western North Carolina, with over 4,000 miles of accessible fly fishing water there are a lot of options on where to fish and Patrick gives us a few of his top picks. Hunter Banks has been outfitting and guiding folks in and around Asheville since 1985; these guys have a ton of knowledge, so if you are thinking about getting in to this sport, you should definitely stop in and talk with Patrick and the other guides. 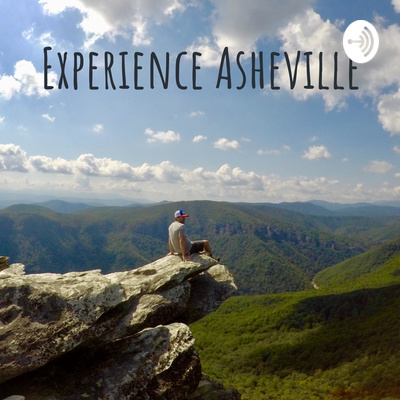 Take a listen from Adventure Bike Experts Justin and Blair of Eurosport Asheville, located in Historic Biltmore Village, share riding tips, what makes a great Adventure Bike, and some really interesting stories and facts. Sneak peak: you must find out why these guys had to sleep with their window open and their eyes on their bikes while on a trip South. They share some of their favorite rides, including the must not miss, Blue Ridge High Pass Boogie, May 11-13, a full weekend of Southern VA's best motorcycle routes both on and off-road to benefit the Blue Ridge Parkway. Some secret spots and random facts - did you know that Pete the bartender of the Village Wayside gives out custom Christmas gifts to his regulars? Find out what random and extremely unique gift he got one of these guys one year, and why it is still unopened. And a shout out to another local restaurant with the best breakfast and brunch in Asheville and more on this episode! Kara Candler is a bit of a unicorn, in that she is a very rare Asheville native who has been cultivating unique solutions for her clients throughout both Asheville & Charleston. Tick Tock Concierge is a personal concierge firm that serves both residential and commercial clients. If you are a business looking to host your team or an event and visit Asheville, look Kara up! If you are making a Romantic Asheville trip, Kara can act as your secret agent, making sure all of the smallest details are beyond perfect. Founded in 2013 by Kara Elizabeth Candler, Tick Tock is a natural choice for individuals and businesses who lead demanding lives and who are in need of freeing up time in their day-to-day schedules. Check out this episode to hear about the hidden gems on this locals 'must do' list! Asheville Van Life and the 2018 Van Life Rally! We are live with Micah Pulleyn founder of Asheville Van Life from the June Bug Retro Resort in Western North Carolina talking about the van life movement and details on the largest van life Rally on the East Coast! The Asheville Van Life Rally was created to bring together weekend warriors seeking a prime overnight spot at the trailhead with full timers roaming the wide open road with their families--and all the other dirtbags, engineering nerds, rogue adventurers, nomadic dreamers, and international troublemakers. The Van Life Rally is September 21-23rd in Weaverville, NC and space is going to fill up quickly for those looking for a spot to post up. It will be open to the public with live music, food and fun for all the 22nd and 23rd. Come visit us in Asheville.